We renovated our passport studio and added a second strobe with softbox, and DSLR camera with portrait lens. The result is a more professional, flattering light for your passport, VISA or permit photo. As always, we tackle Canadian, United Kingdom and other passport sizes and specifications. Yes! We take baby passport photos. * Some passport applications require the photos to be stamped. If stamping is required, passport photo processing can take an extra day. Milford Photo is a PMA (Photo Marketing Association) Certified Passport Photo Center (CPPC). To achieve this certification from the PMA, Milford Photo’s passport photographers have passed a course in passport photo regulations and protocol and are experts in what is and is not acceptable in a passport photograph. 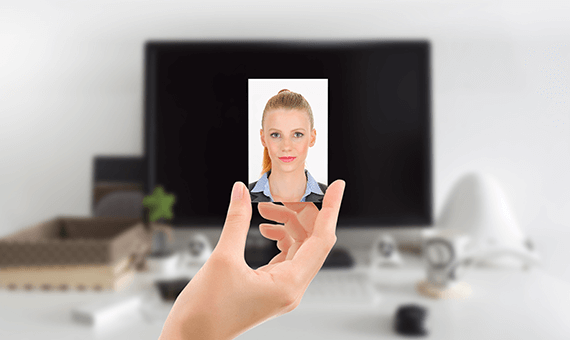 Passport Photos taken by Milford Photo are 100% guaranteed to be accepted by the US Passport Services. The Photo Marketing Association is the pre-eminent organization for the Photo Industry.